Our UPVC French Doors provide an affordable way to increase light to living areas such as kitchens or lounges, also allowing access outside without compromising security. Midrail Glazed, UPVC French Door. Simply click on 'customise' to input your sizes for a quick, easy, and accurate quote. 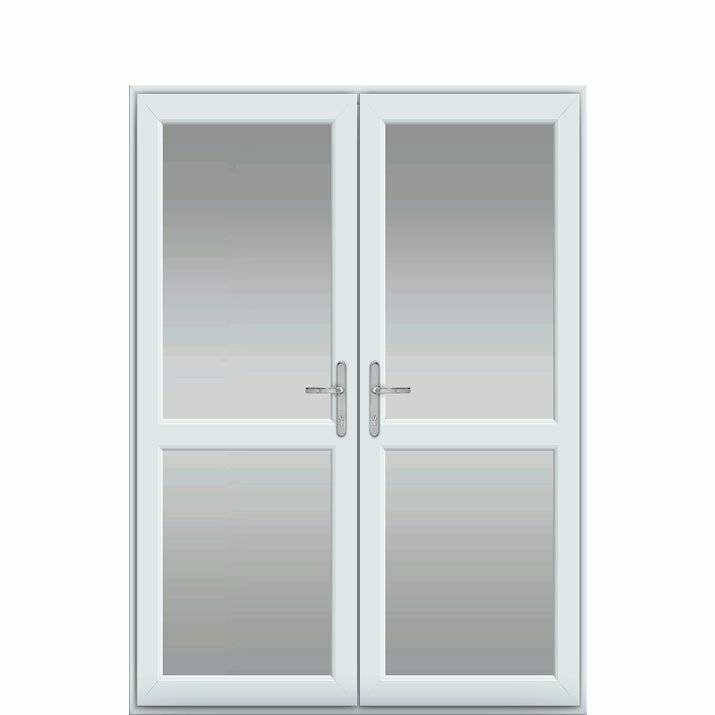 All our upvc french doors come with toughened safety glass, a multipoint locking system and a fully reinforced outer frame as standard.